Polydrum is an innovative company specialising in the blow moulding and roto moulding of high quality and durable plastic products. Our products are UN compliant and are manufactured using food grade material. Our blow moulding produces plastic drums, swimming pool filters and plastic containers used in the chemical, agricultural and oil industries. 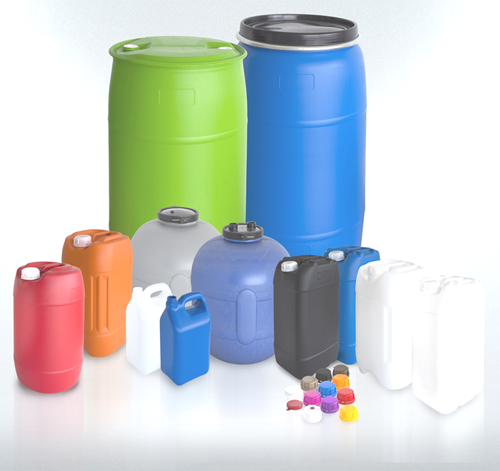 We specialise in 5L, 20L, 25L and 210L drums of various weights and colours to suit your specific needs. Our roto moulding expertise allows us to manufacture a range of Roto moulded water harvesting tanks from 500L to 5000L as well as a range of leisure products. All of our products are manufactured to strict quality controls which consist of leak testing and product weighing to ensure consistency. Apart from quality, you can be assured of competitive pricing, flexible lead times and excellent service. Our drive for continuous innovation has led to innovative products and processes. Today, we can guarantee that we offer world class service and products because we continuously benchmark ourselves against the world’s best plants and technologies. Selected products carry a UN rating as awarded by the SABS and all containers manufactured in our plant are virgin grade HDPE materials which carry EU and FDA food grade approval. All of our products are manufactured to strict quality controls which consist of leak testing and product weighing to ensure consistency. Clients also have the benefit of using our in-house capabilities to design and manufacture customised products. Our technical staff are able to offer advice on the best way forward in this process. Due to a wealth of industry experience, our product designers are able to translate and develop your needs into a product that is innovative, fit for purpose and cost effective.